Putnam Place in Saratoga Springs is gearing up for a huge night of music happening on Saturday September 15. 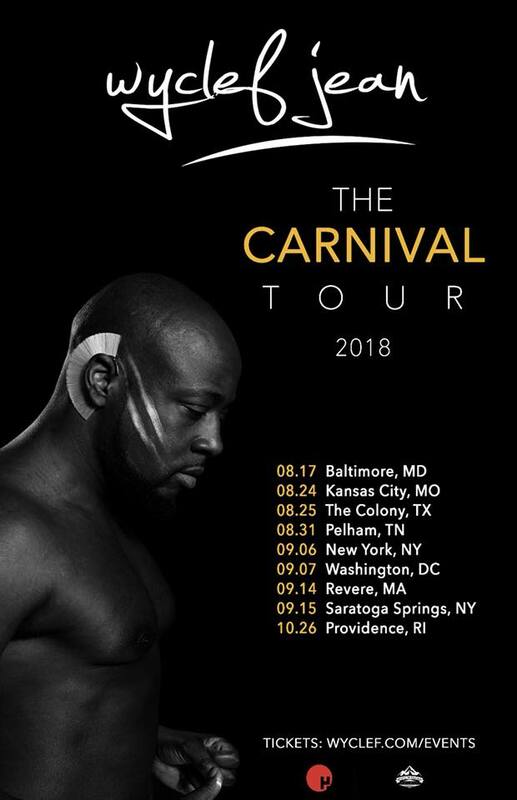 Wyclef Jean is making his highly anticipated return to the Putnam with his “Carnival Tour” that he kicked off February 9th at the Wellmont Theater in New Jersey, making a stop at Putnam Place on March 2nd. 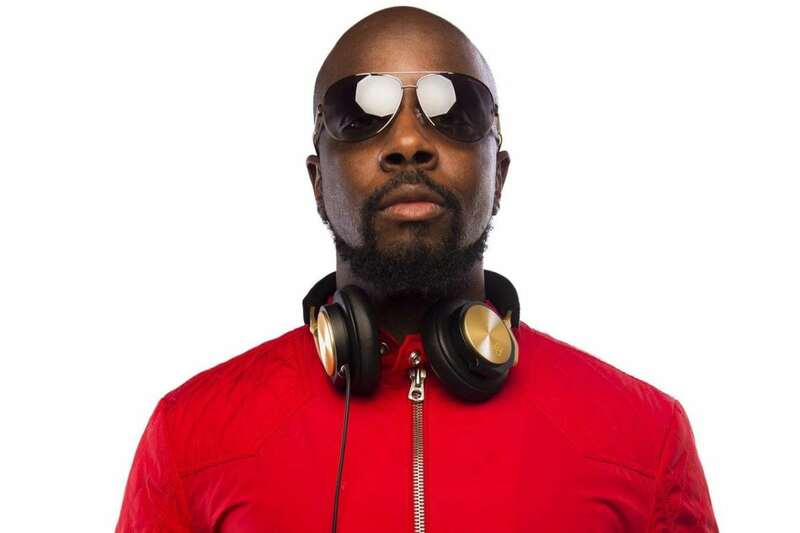 The sold-out show in March was such a success that Wyclef decided that he would be coming back at the end of the tour, and Saratoga is ready to welcome him back for another fantastic show. Saturday’s event includes a pre-show on the newly renovated patio with The Melting Nomads earlier in the evening and two opening acts, Sophistafunk and Jazzy Amra. Wyclef is a Haitian born rapper, musician and actor. As a founding member of 90’s hip-hop group the Fugees, Jean rose to fame with the six-time platinum record The Score. Top tracks from that album include “Fu-Gee-La,” “Ready or Not,” and the timeless cover of Roberta Flack’s “Killing me Softly.” Wyclef’s work with the Fugees earned two Grammy awards; the Grammy for Best Rap Album for The Score and Best R&B Performance by a Duo or Group with Vocals for “Killing me Softly” in 1997. Wyclef went on to win another Grammy in 2000 as a Producer on Santana’s wildly successful album Supernatural. Wyclef began his solo music career in 1997 with Wyclef Jean Presents the Carnival Featuring the Refugee All-Stars, better known as The Carnival. This album was a huge hit, with singles “We Trying to Stay Alive” and “Gone till November,” ensuring that Jean’s music continued to stay at the top of the charts and making him a global music star. 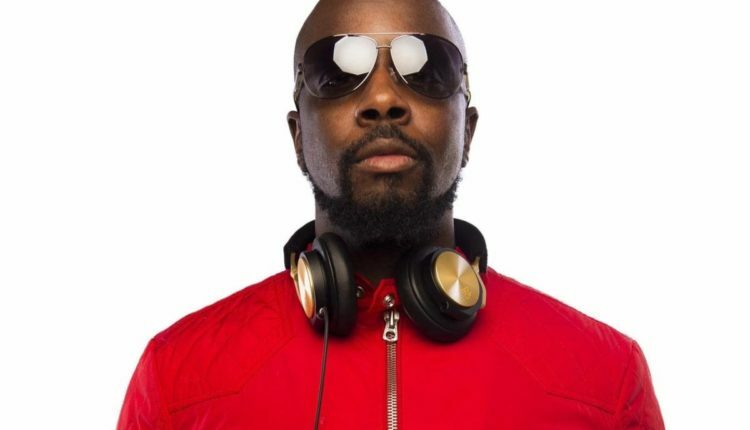 Outside of his musical ventures, Wyclef also is known for his charitable work and political involvement, from organizing fundraising efforts for disaster relief to running for president of Haiti. Most recently Wyclef can be seen in the news discussing musical copyrighting. Holding the stance that the copyright proposal should be rejected, stating in a press conference that “Musicians and artists thrive when they collaborate and share.” Having a man of so many virtues and talents come to share his craft at the Putnam Place this weekend is a huge honor and the party that will ensue will surely reflect this. Kicking off the party on Saturday at 6pm on Putnam Place’s gorgeous patio, is The Melting Nomads, a band that is quickly becoming a regional favorite. Formed in the beautiful Green Mountains of Vermont in April of 2018, this band is fresh on the scene but it’s members have dedicated much of the last 5 years to the growth and evolution of their musicianship through touring, writing and recording with numerous groups from the Northeast. Devoted to sharing their music and bringing high-energy funky grooves to every room they step in; these nomads are sure to deliver an eclectic musical experience not to be forgotten. Blending various individual influences, the group creates a rocking fusion of soulful lyrics and reggae feels with elements of jazz and funk that will surely get the crowd grooving. Check out their 9/5/18 set from Nectar’s! Not only will the pre-party feature some tasty jams, Putnam Place will be offering drink specials at the patio bar and several food options available including Buddha noodle, rotisserie chicken by chef David Britton, a variety of meat skewers by Kevin Black and vegetarian options. During the patio show, tickets for the Wyclef show will be on sale at the pre-sale rate while supplies last. The patio show is free of charge, so come early, come hungry and have a great start to the night. Next on the schedule for the evening is the insanely lively and inspirational Syracuse-based group Sophistafunk, known for their unstoppable funk hip hop dance party. Sporting their undeniably original sound blending funk, hip hop, groove, and jam rock, Sophistafunk has been well known on the regional scene for years, with tours that have spread nationwide. Front-man, Jack Brown is a seriously talented wordsmith, lyricist and rapper, leaving fans abuzz with an incredible feeling of positivity at every show. Keyboard player, Adam Gold brings a special energy to the stage, creating a sound that sets Sophistafunk apart from any other group. They have a smooth, funky style that stands out and keeps listeners grooving long after the show is over. The heartbeat of this hip-hop trio is Emmanuel Washington on drums, keeping the crowd bumping and asking for more. 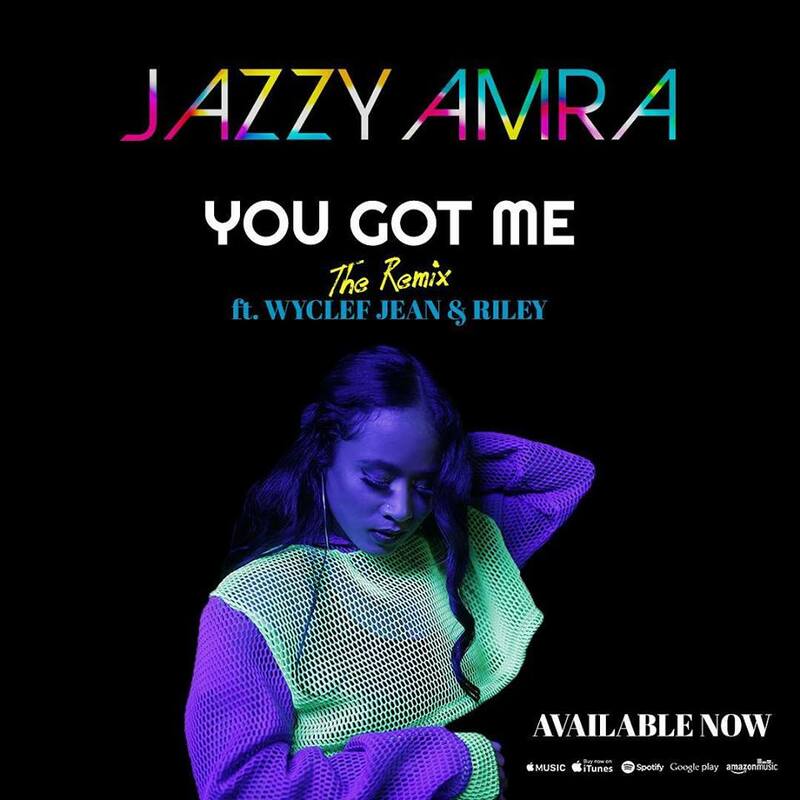 Together the three make some of the funkiest, emotion-provoking hip-hop music currently on the scene. 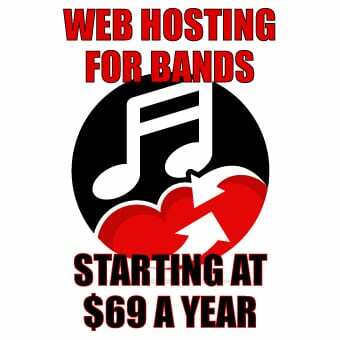 Proud to be a New York based band, they are always finding ways to give back to their community and keep a positive message flowing. Sophistafunk is sure to set the stage up nicely for the next opener and Wyclef himself. One perfectly planned pre-party, two super talented opening acts and one world-class headliner makes it an easy decision about what to do on Saturday, September 15th, Putnam Place is the place to be. To really spice things up, Saratoga Living has partnered with the Putnam to offer their readers a substantial discount on the ticket price. Tickets and more information can be found here. Offer valid until 12pm Friday!